The wedding ceremony is generally conducted outside in our beautifully landscaped wedding center overlooking rolling hills and valleys or at our wedding arbor shaded by century-old native Pecan trees. The wedding ceremony can also be conducted inside in our winery surrounded by barrels and wine tanks creating a very unique setting. The Bridal party has use of our charming Bed & Breakfast for dressing. 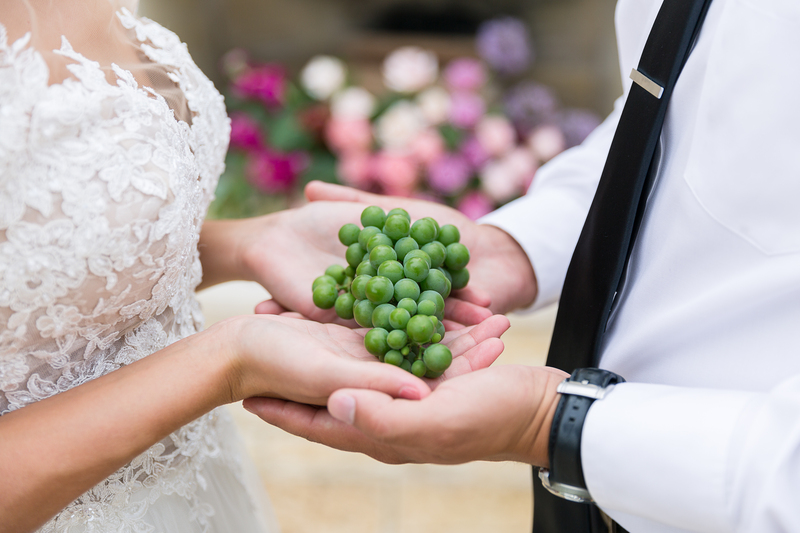 All our wedding packages include our beautiful setting for an intimate wedding ceremony at our Tuscany styled winery on our lushly landscaped twenty-acre grounds and vineyard. Select packages include reception tables and chairs, table linens, centerpieces, ceremony chairs, unity wine barrel, guest registration and gift tables, cake table, cake cutters and servers. Also included is a one-hour rehearsal time if desired to be scheduled. Let us know how we can help plan your day to remember!